Start with the 8.0 FAQ. The biggest changes for resto were a talent revamp and multiple spell changes. We also lost Healing Touch but nobody’s noticed yet. You’ll find pages for Azerite traits, BFA Mythic+ and boss-by-boss guides after the expansion has launched. I know, I know. It was time. Now you can find out about site updates as they go live instead of five months later when your friend mentions them during a drunken Mythic+. Click the icon above to find us or navigate to https://twitter.com/QE_WoW. We don’t have any beta keys to giveaway, but if you want my old waffle maker you’re welcome to it. Version 3 includes a separate, movable frame to hold all of your tips. 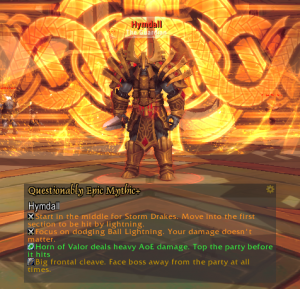 It’s better for your neck if you’re not looking at tooltips for the entire dungeon and this should make them much easier to read during fast-paced Mythic+ content. You can also pick whether you want tips for the mob your cursor is over or the mob you have targeted. Nice. The Mythic+ Compendium held solid through Legion, but we’re still looking at some upgrades in Battle for Azeroth. Tank / Healer tips will be added to all difficult bosses and we’ll have separate trash paths for Teeming. You’ll also find more weak auras than ever before (so you know when to stack and when to run away). The guides will also be added to the Mythic+ addon and you’ll have it in your hands before you enter your first dungeon. Dungeon trinkets in Legion were either boring (Flask of the Solemn Night) or downright terrible (Nether Anti-Toxin, Bottle Hurricane, the list goes on). In BFA they’re at least a little more interesting, but are they strong? Maybe. There are also a surprisingly high number of trinkets from world bosses (Arcanocrystal flashbacks) so we’ll look at those and raid trinkets as well. In 8.0 the Catweaving playstyle that we’ve held dear throughout Legion got significantly nerfed leading to the rise of Balance Affinity. If there’s no relevant tuning between now and BFA release then we’ll don the feathers and bring the power of the moon to dungeons and raids when we want to contribute DPS. This has the added advantages of being a ranged DPS sub-spec so we won’t have to worry about which mobs cleave anymore. It also enables the disengage Wild Charge which can be very useful – especially in places we can’t use Travel Form. Birdweaving is much simpler than the Catweave playstyle and we’ll have a guide for it before the expansion goes live. Example only. Real calculator will look 125% better, have 50% fewer Regrowth traits. 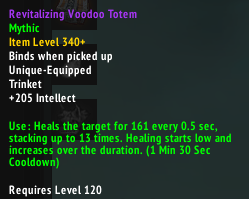 Azerite traits on gear are fixed. The trait calculator runs the numbers and displays the best path to take. There’s almost always going to be a fixed path you take that’s just mathematically best, just like the Netherlight Crucible. Sometimes it’ll be obvious, sometimes it’ll be a little tricker. In either case the calculator will get you there. It’ll be ready a little after the BFA launch. Hi 🙂 Was wondering if and when your written guides will be updated. I personally prefer them over the AddOn. We’re very close! Just finishing up the last of them. I’m a huge fan of this site and return to it a lot. Let’s see the Coming Soons soon!